BRRRRR! It's turnout blanket time! Three weights, two neck heights, completely durable. Just in time for fall & winter blankets. Fall is here; Winter is coming! Special Promotion! 50% Off Regular Price! Sizes 78, 80 and 82 only. Keep everything in style with Baker. Experience the same gorgeous durability of the original Baker Blanket you love, in waterproof, breathable turnouts in three perfect weights. Because inside or out, nothing beats a Baker. April Showers Bring May Flowers! But it also brings a great $10 off our Baker Rain Cover. 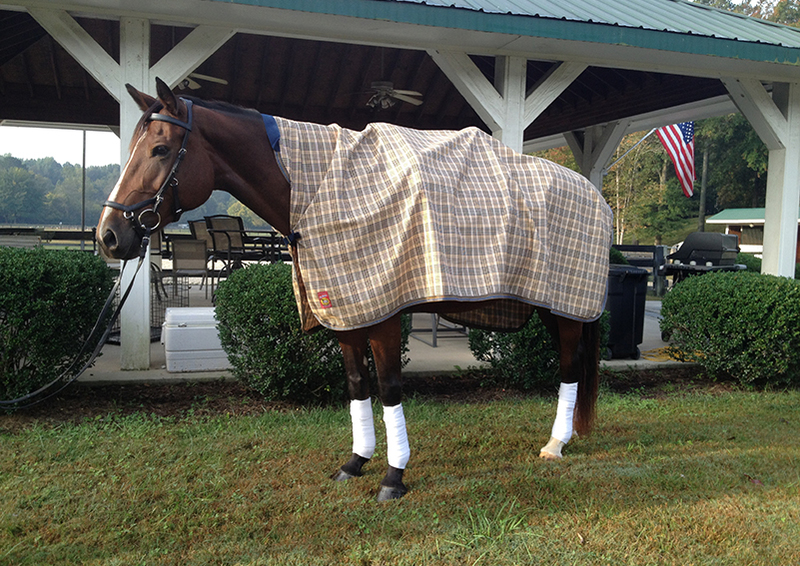 Ready to keep your horse (and tack) dry going to the arena to school/show/clinic? On sale for $10 off throughout the month of April so hurry up and order yours today! 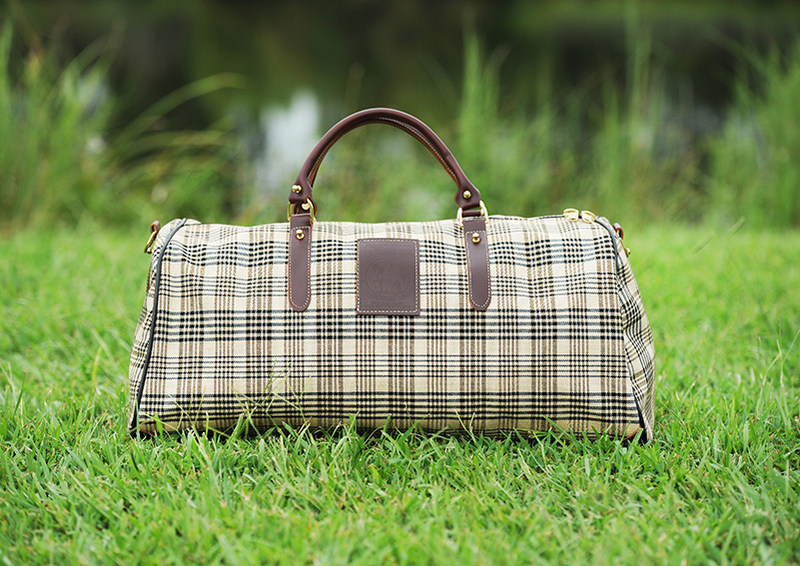 Show days or holidays, Baker transports your gear in iconic equestrian style. Purses, luggage, tack carriers and trunks, the perfect gift for loved ones (and yourself). Ahhhh… the feel of a Baker Blanket is like no other on earth. It speaks volumes about your sense of care and tradition. + Found at fine retailers everywhere, we encourage you to shop your local store so you can experience our quality firsthand. + For those of you who love to shop at home, on this site you’ll find our entire ready-to-wear line for your shopping pleasure. Enjoy! Mrs. Curtis and von Bernuth began sewing and selling a horse rug the likes of which no horseman had experienced before, with unparalleled quality and durability. 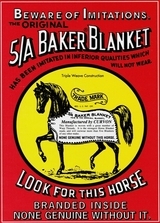 Horsemen clamored for more, imitators quickly arose, and the 5/A Baker Blanket logo, with its distinctive red box, illustrated horse and "None genuine without it" warning quickly marked the exclusive territory Baker occupies today. 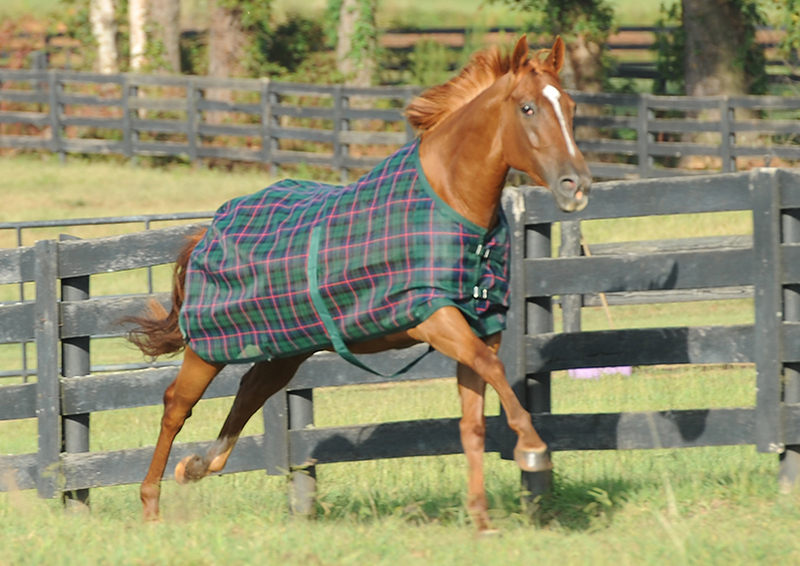 There is simply something magical about the Baker Original or Tartan plaid with that distinctive red tag, and it extends far beyond the original stable sheet and blanket. Whether it be a fleece dress sheet, a turnout, or a dog coat, you elevate the wearer when you throw it over their back. Feel the history. Love the look. The 5/A Baker Curvon name was built on quality: the hand of the fabrics is quite lovely, the look even better. But the real reason for the brand's success is durability. This is the story written in 1866, and it continues to be written today, with the same premium textiles and workmanship, many made right here in the USA. The world looks to equestrians for style, and equestrians look to Baker. No other world is richer in tradition than equine, and the distinctive Baker plaid and red logo, virtually unchanged in 148 years, simply defines it. Baker style is the pinnacle for every horse, dog, and home, guaranteed to elicit from friends "ooh... a Baker!"